Colorado Heirloom carries an array of wood species. Alder, Cherry, Maple, and Blue Pine are the most common wood types used for various products. All of our woods, except Mahogany, are harvested from Sustainable forests. Blue Pine is considered recycled as it is harvested directly from the forest floor. Due to the nature of wood, each product piece will have natural variances. We do our best to match woods as closely as possible. We avoid as many knots and pitch pockets as possible, but there are some of these natural wood beauty flaws that just cannot be avoided. We are constantly reminded that wood is a living "thing". It can grow, shrink and change in color as it ages and in various climate changes. Keep this in mind when you are planning your special projects and if you are unsure on something, Just Ask! 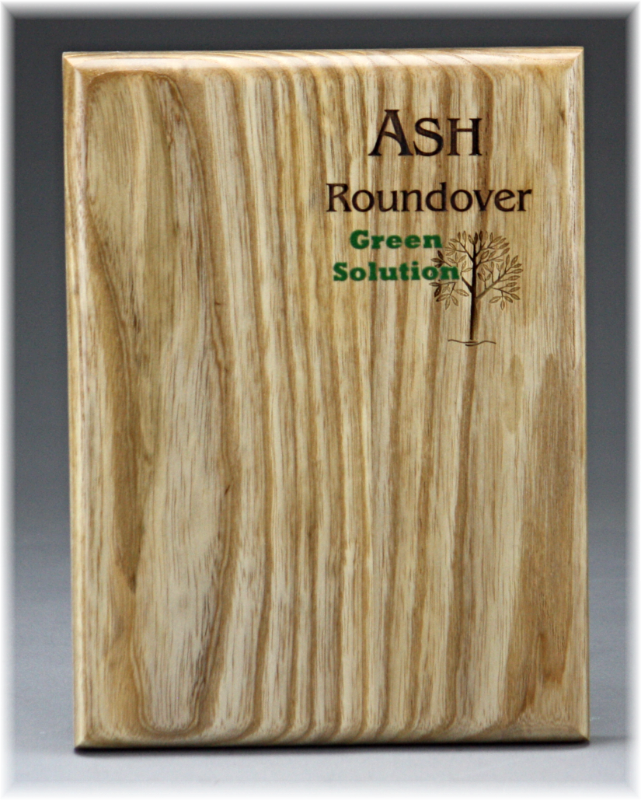 Alder wood is the most common wood used to make strips, plaques or boxes. 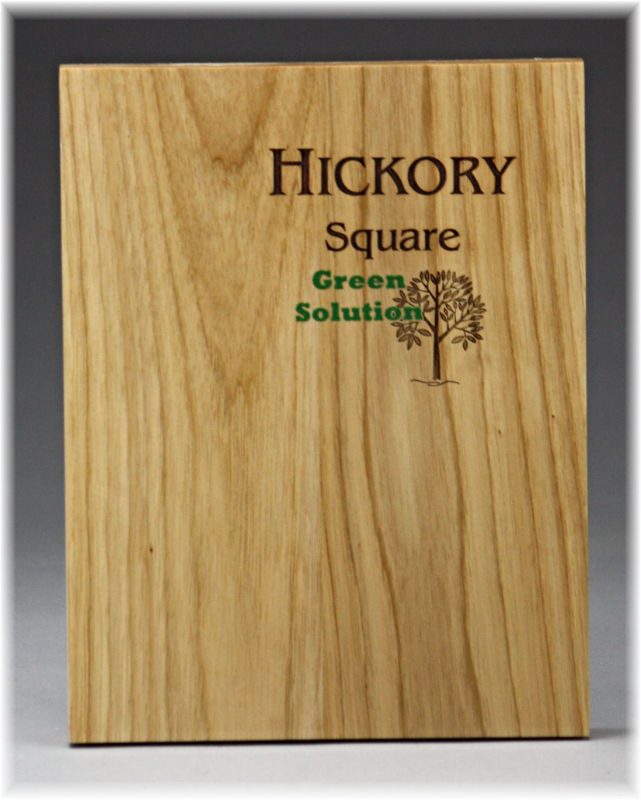 This wood is perfect for laser engraving as it gets a natural burn without the need for a darker color fill. The lasering in these photos are not filled. Ash is pretty wood that has more highs and lows in the grain variation. The engraving on this plaque is filled with brown color fill. 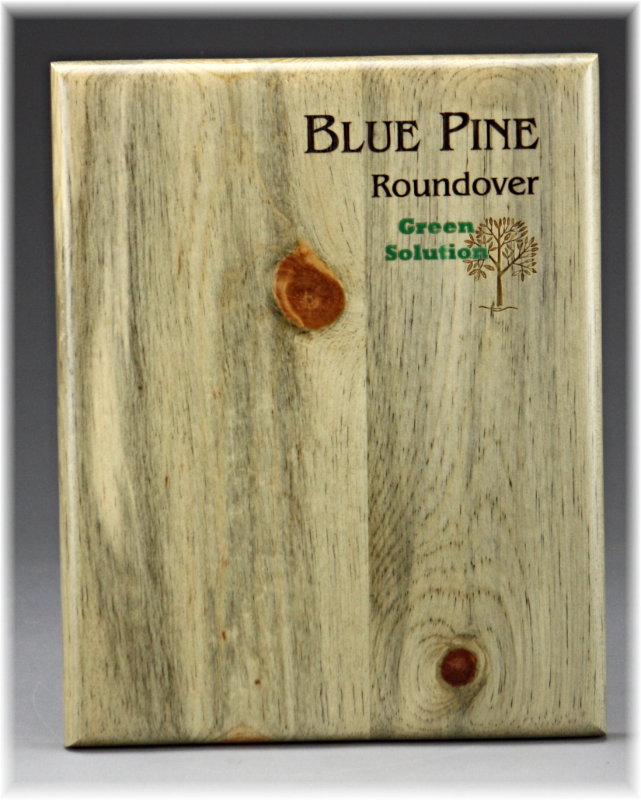 Blue Pine is a soft wood that is made purely by nature taking it's course. It is also known as blue stained pine, or beetle kill wood. The wood we use for this is harvested off the forest floor in the Rocky Mountain Range. The lasering on this plaque is filled with a brown fill. This wood can vary quite a bit in it's coloring from natural light pine color with streaks of blue to overall blue coverage. 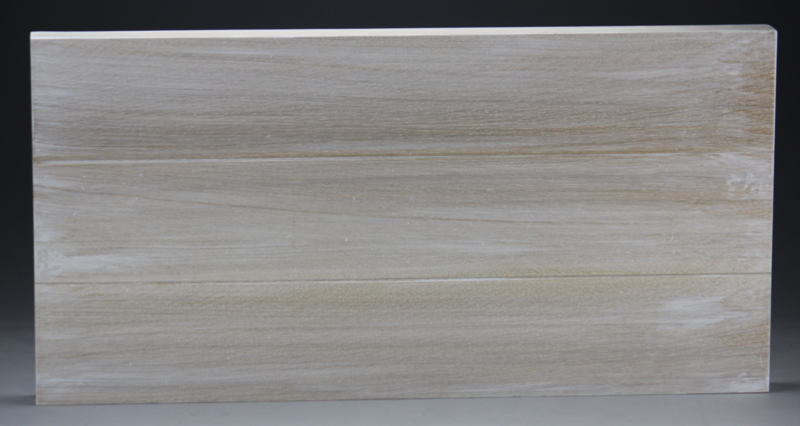 Our current supply has more natural light pine coloring with minimal blue streaks. 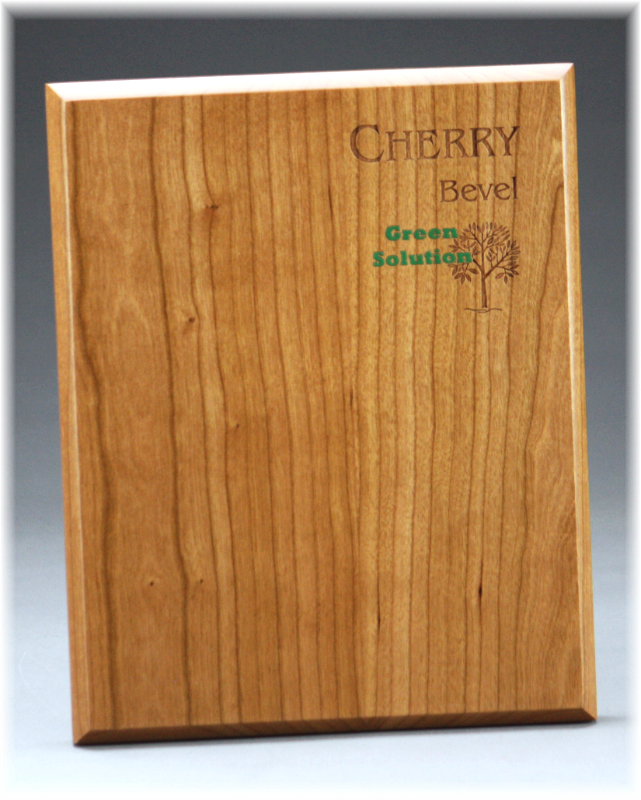 Cherry wood is one of the more popular wood chosen for our products to be made out of. 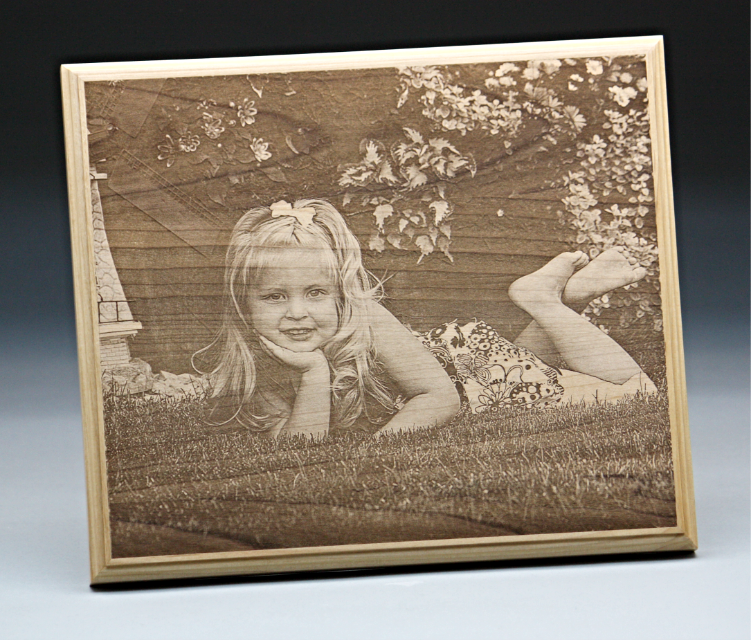 This wood is a favorite for laser engraving photos and natural engraving as it gets a good contrast naturally. This wood is known to darken as it ages. It starts out a medium to light color, and often gets confused with Alder wood as they can look identical when they are first made into products. The lasering in these photos are not filled. Hickory wood is a newer wood we added to our line in 2016. This is our hardest wood that we carry and is used for cutting boards and makes for a unique and elegant box. 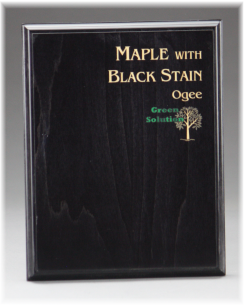 The lasering color varies based on the graining throughout the wood. The lasering in this photo is filled with brown fill. 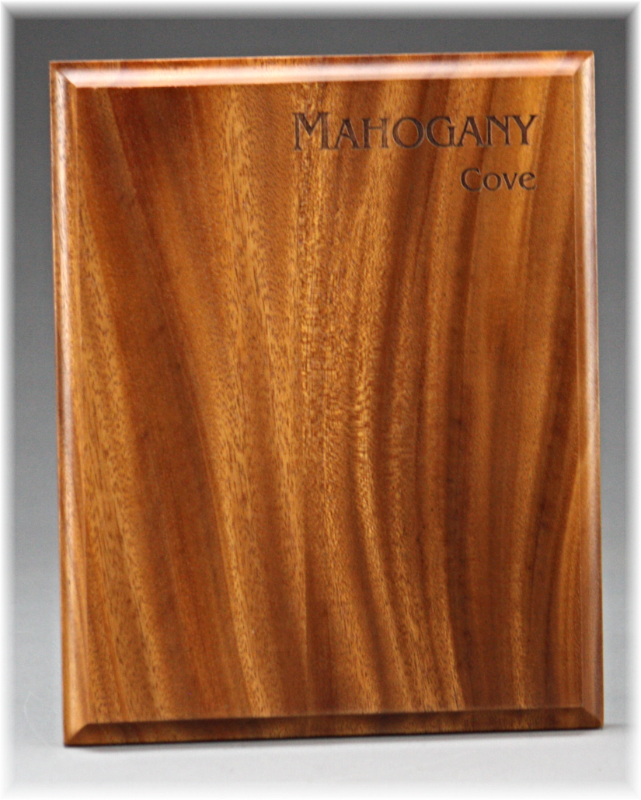 Mahogany wood can range in coloring from piece to piece. It can be dark with golden brown hues to a lighter blonde look. 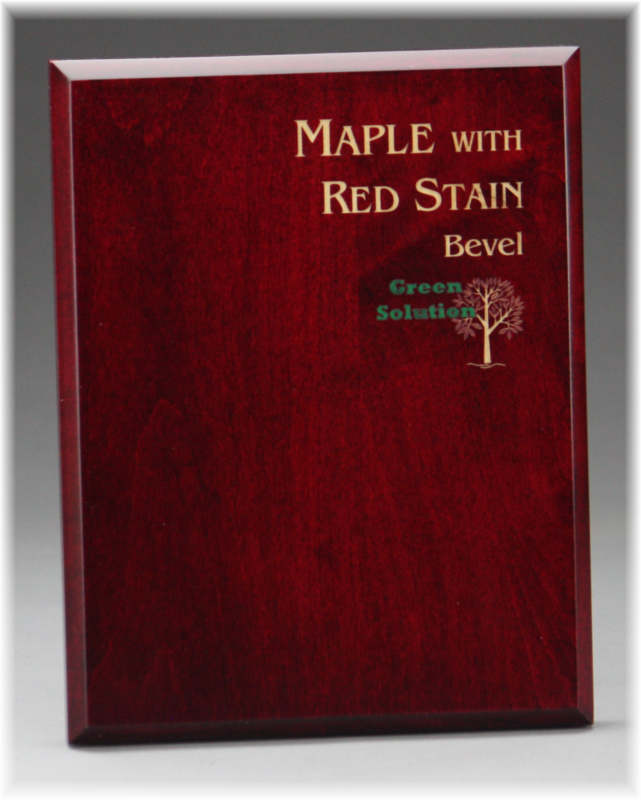 This wood engraves beautifully without any fill and does a very nice job with photo engraving. The engraving in this plaque is not filled. 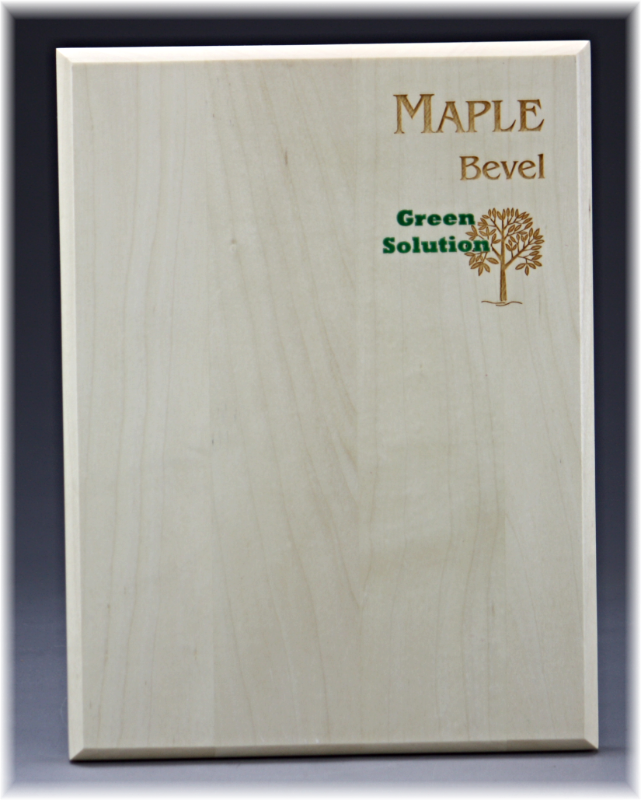 Maple wood is one of the more common woods used for our various products. This wood works great with any of our color lacquers and stains. It can be lasered lighter than normal so that the natural light coloring of the wood shows through the color lacquer or color stains. This wood gets a nice natural contrast when laser engraved. 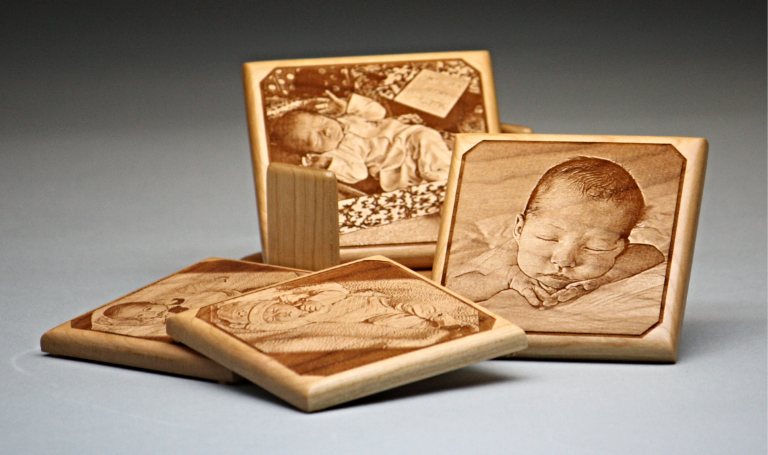 The laserings in the photos are not filled but show the natural laser engraving contrast. 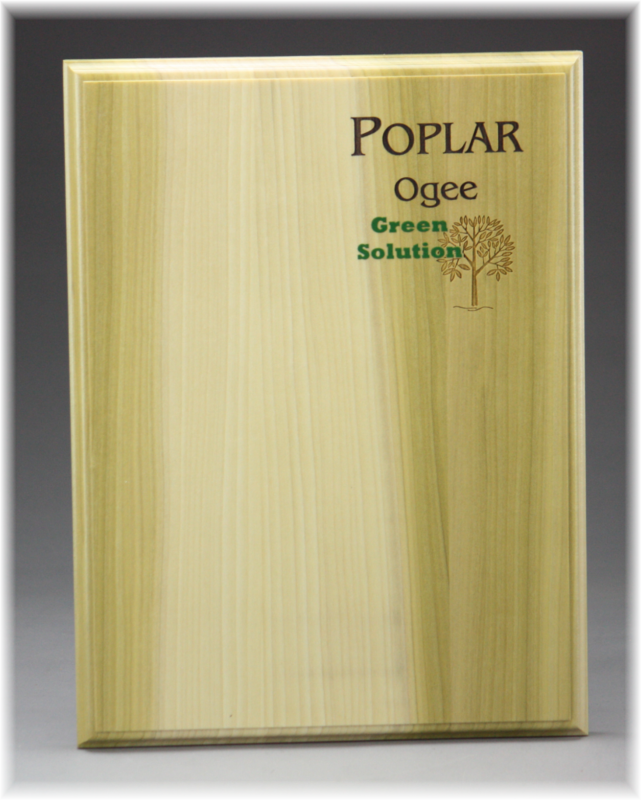 Poplar wood was added to our wood species lineup in 2016. This wood can vary in its coloring from very light to dark brown streaks to green streaks as shown in the photo. The lasering on this plaque is filled with a brown fill. 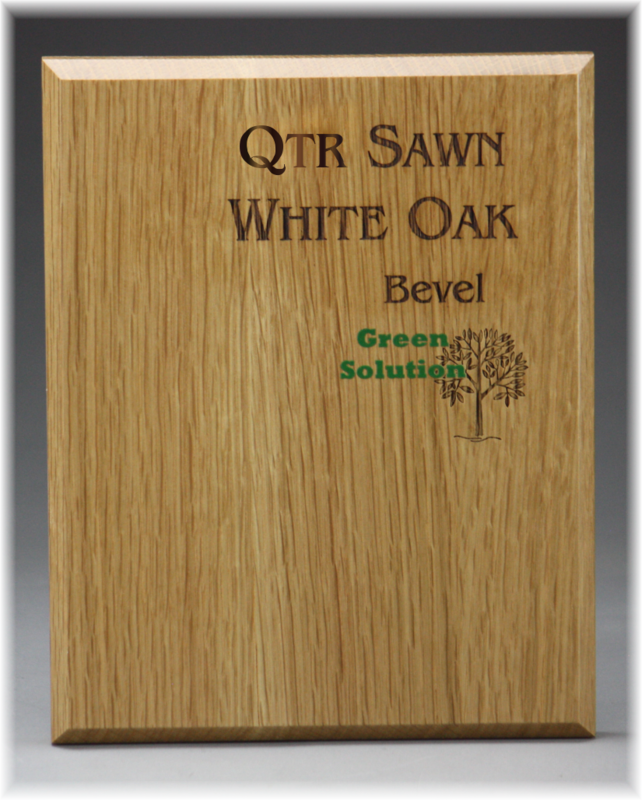 Quarter Sawn White Oak is very popular to use with our stains. Especially our Whitewash look as shown on the left and the Graywash look as shown in the photos. This wood type does not get a good natural contrast when lasered, the lasering was filled with brown fill in this photo. 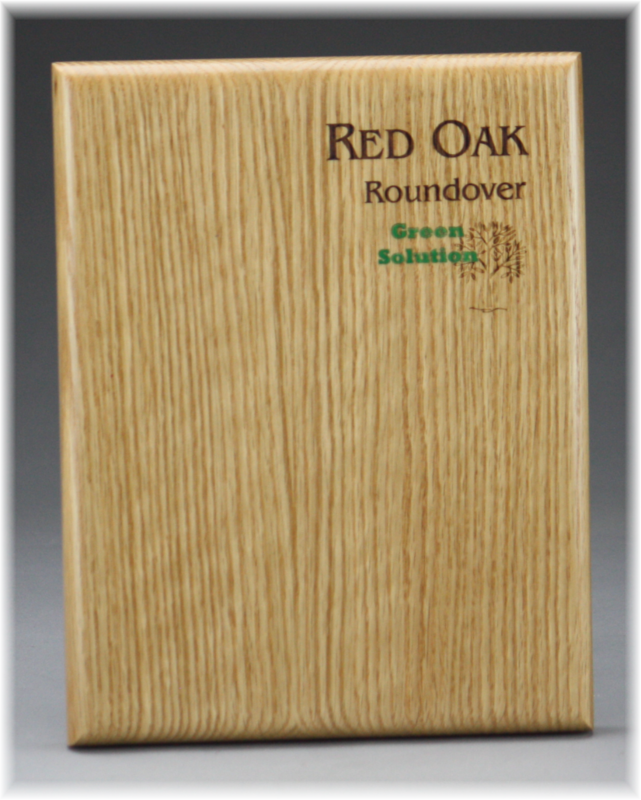 Red Oak is a hard wood that we carry. This wood type does not get a good natural contrast when lasered, the lasering was filled with brown fill in this photo. Walnut wood is the darkest wood that we carry. 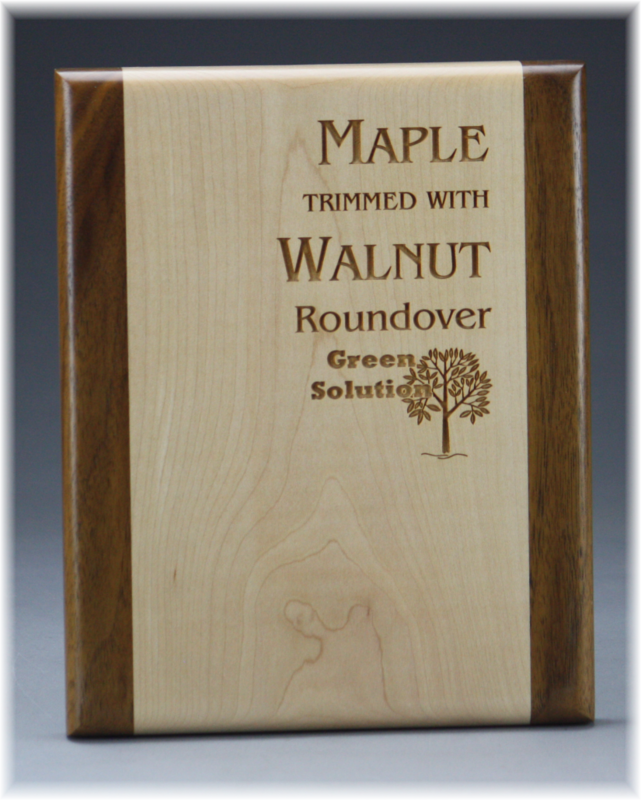 This wood pairs well with Maple for various products, including our Walnut Trimmed Maple plaque. 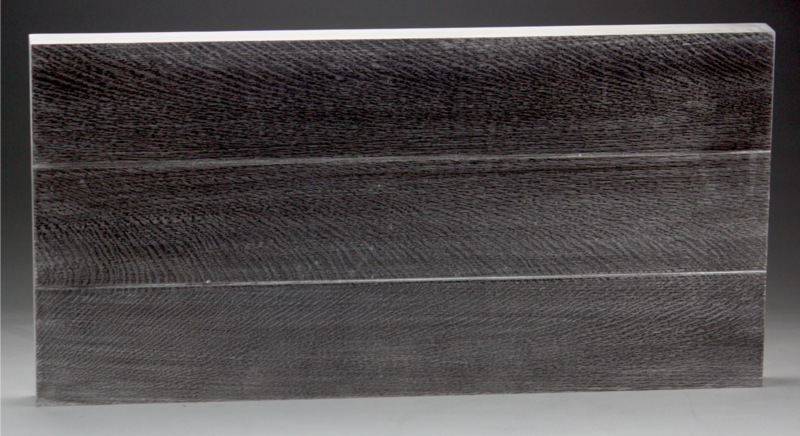 This wood is often engraved and filled with Ebony stain or a black color fill. The Walnut wood plaque photo has the laser engraving filled with black fill. The Maple wood with the Walnut trim is not filled. 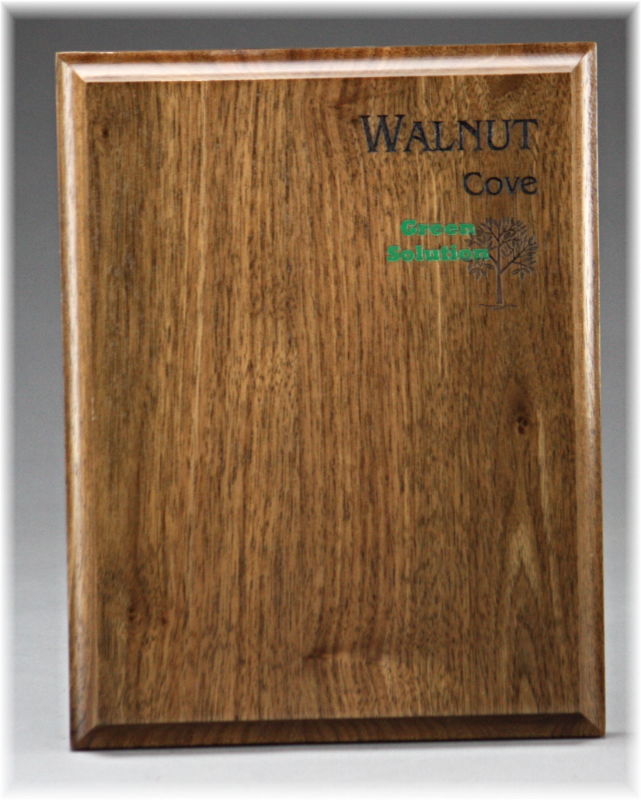 Walnut is very popular for award bases and sculpture bases.